Protecting persons and things as a profession has a long history. 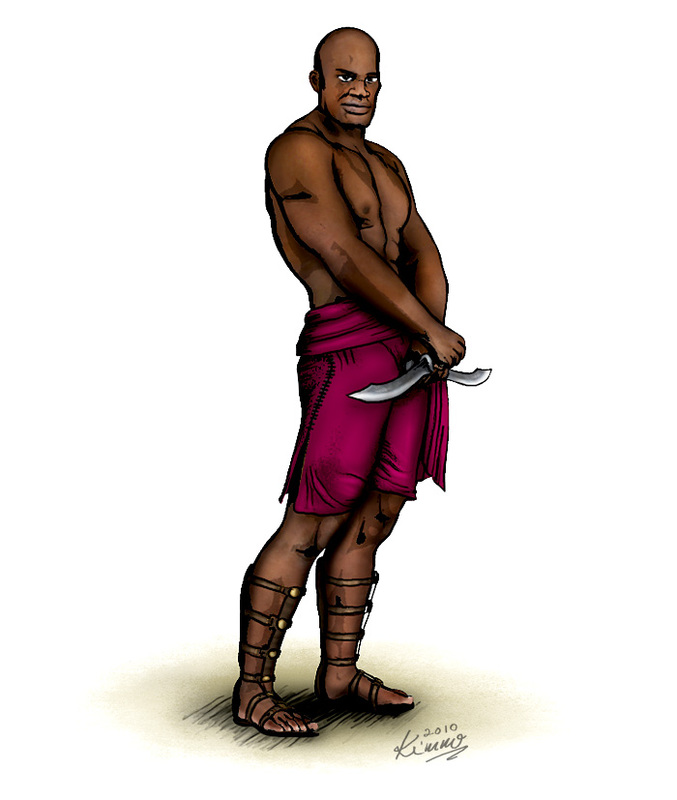 Zane is a professional bodyguard working in the city of Udynaesses in Groam for the protection business named Castillo’s Claw. His skill set includes so much more than brute strength and speed and his intelligent preparations has prevented many a catastrophe from taking place. He is a stoic man who doesn’t have much respect for the creature comforts or wealth. His kicks come from outsmarting his opposition and if the situation warrants it, even taking them out. He is exceptionally lethal with bare hands (and feet!) and can take out armed bigger guys with swift punches and brutal kicks.